Yancy Calzada began his career in the film industry as a stop-motion animator on the Christian children’s film Hoomania in 1985. Since then he has contributed his skills and talents as a visual effects artist and computer animator to several films, including: The Abyss, Ticks, Bill & Ted's Bogus Journey, The Santa Clause, Jumanji, Starship Troopers, Beetle Juice, Puppet Master II, Dinosaur, and most recently Piranha(3D). 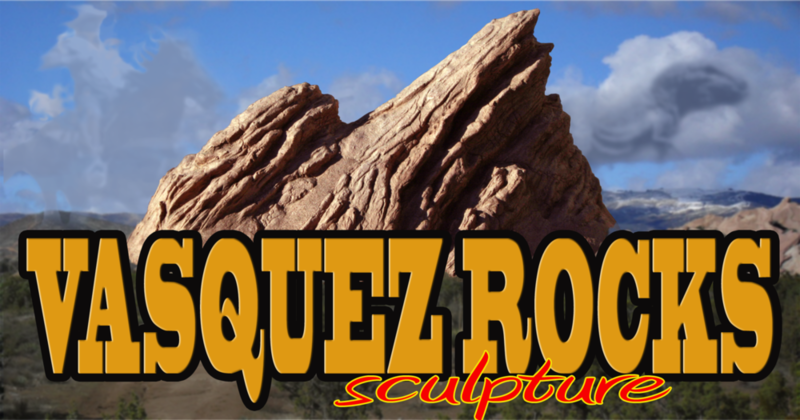 In 2009, Yancy decided to sculpt a rendition of the Vasquez Rocks peak. The Vasquez Rocks Natural Area Park itself has been a popular film location for many feature films and Television series’. What surprised him the most was that no one had ever done it before! The peak itself can be clearly seen in an Outer Limits episode called "The Zanti Misfits", in "Arena", an original series Star Trek episode, Planet of Dinosaurs, and throughout a Bonanza episode called "Between Heaven and Earth". It has become the symbol of alien worlds and western frontiers for Hollywood fans and deserves the credit it's due!